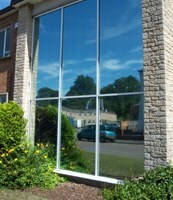 Aaran Glass offer a window filming service available for both residential and commercial properties. 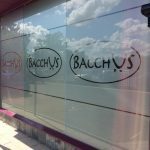 Whether it’s a solar reflective film you need in your office or a sandblasted film you need on your front door, we are the people for you. We can film on single glazing, double glazing, laminated glass, toughened glass, roof panels and much more. 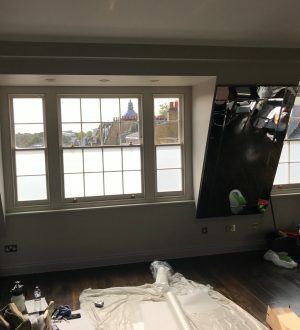 Safety film is a clear film that can be applied on existing damaged windows to help make secure as temporary measure until glass is replaced, or can be used on existing windows in both residential and commercial properties that need to be compliant with British safety standards. It also helps reduce the risk of breakage during impact. Solar reflective film helps to reduce heat and filter glare. 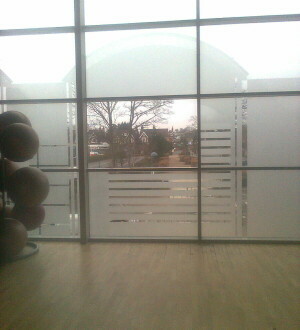 Some reflective films also help to increase privacy. Once the film is applied visibility from the inside out remains normal but it provides a mirror-like effect on the outside, preventing people from looking in. 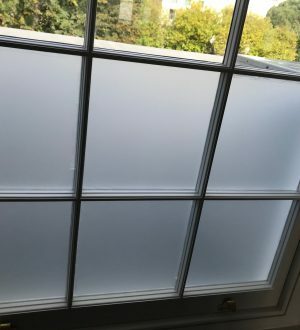 Frosted films are great for helping to increase privacy. They create privacy from both sides of the glass, so whether it being a nosy neighbour, or wanting to make your busy office more private, this is an ideal film for you. This film can be applied to cover the whole window/door or can be applied in sections/boarders. We also offer film writing and manifestations. 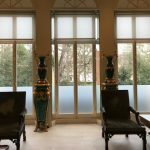 We can attend site to apply sandblasted manifestations to your existing windows and doors, usually used as a safety means to help the glass become more visible to the public. We also offer various other types of films for your property. Do not hesitate to contact one of our friendly advisors for a free estimate 0800 740 8163, or for a free no obligation quote.